Today we take a look at another one of Nintendo's 'grey band' games. 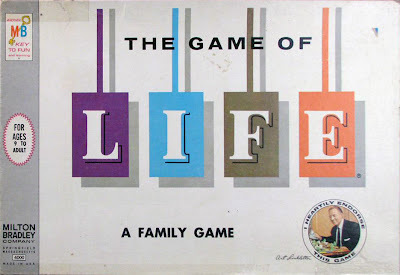 It is one of the licensed games Nintendo released in the mid 1960s. The game is called Marble (マーブル). 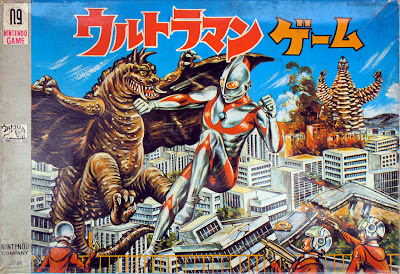 One of the commercially important licenses in Japan is the very popular Ultraman. 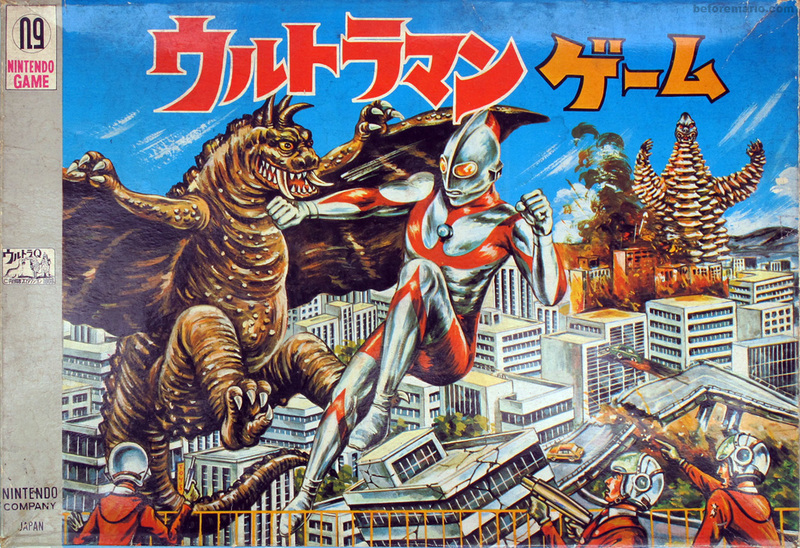 In 1966, Nintendo released a board game based on the original Ultraman TV series, which had started that same year. The game is called simply Ultraman Game. 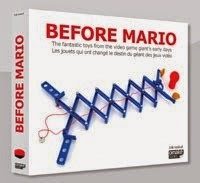 Beforemario is focussed on Nintendo's toys and games from 1965 to 1983. And although this is only a small part of the company's long history, I expect it will keep me busy for some time to come. But someone out there has taken on the formidable task of chronicling the entire history of Nintendo, from the start in 1889 up to the present day. And not just covering the main events, but exposing every nook an cranny of the rich history in meticulous detail, unearthing many new facts and insights on the way. He is really pouring his heart into this work. 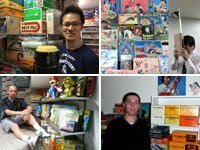 His name is Florent Gorges, and he is one of the most eminent Nintendo historians. His labor of love is called the History of Nintendo. These books really have no equal in the world. 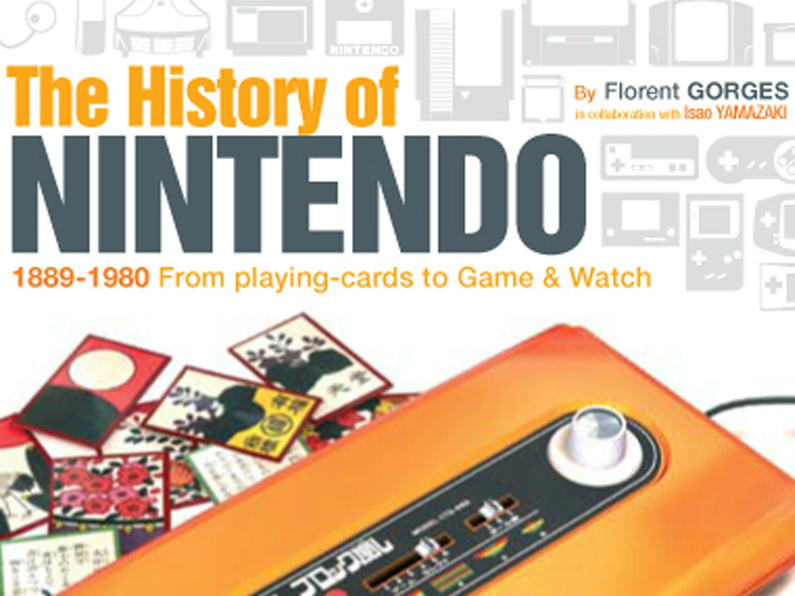 Originally released in French (under the name "L'Histoire de Nintendo"), three volumes have already appeared, of which two have been translated into English. If you enjoy reading this blog, I am sure you will love these books. Volume one of The History of Nintendo deals with the period from 1889 to the birth of the Game & Watch, volume two is fully dedicated to Game & Watch and volume three's topic is the Famicom / NES. Florent was kind enough to participate in a little interview for beforemario. You can find this below, together with information on how to acquire his books. Guns and cars are two of the typical (some might say, stereotypical) categories of toys enjoyed by boys. With this in mind, it is not too hard to come up with a toy mash-up that is sure to be loved: a car gun. And that is exactly what Nintendo's Shotracer (ショットレーサー) is, a gun that shoots cars. In the 1960s, Nintendo acquired licenses to a number of games from American company MB (Milton Bradley). One of these was the party and exercise game Twister. Nintendo released this game in Japan around 1966, under the title Twister Game (ツィスターゲーム). 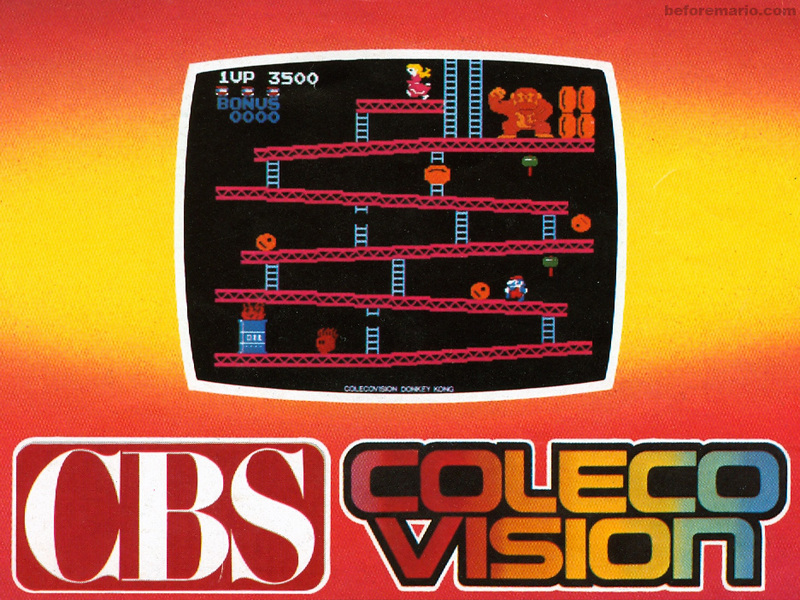 When it was introduced, this game was considered quite risque. It required close physical contact by the participants, something that was generally frowned upon very much in the United States, but even more so in Japan. In the early 1980s, Nintendo decided to focus completely on video games, only keeping a small side-business in playing cards. The production and sales of all other toys and games, which already had winded down a lot since the late 70s, was stopped completely. All of Nintendo's creative minds who previously had designed toys were set to focus solely on video game hardware and software, with many of them creating their best work after this switch to the digital world, building on the experience and expertise gained as more traditional toy makers. From a commercial point of view this made perfect sense. Video games were clearly the area where to find future growth and profit; a place where Nintendo had the opportunity to dominate the market. Keeping a toys line alive next to this was more trouble than it was worth. So, all of Nintendo's toys disappeared from the toy stores' shelves, never to return. However, in recent times there has been a small number of toys from Nintendo's past that have made a comeback, when Nintendo licensed or sold their designs to other companies. An example of this is the Ultra Machine shown here. This Ultra Machine remake was based on Nintendo's Ultra Machine DX from 1977. In order to stand out in a toy store - with hundreds of purchase options calling for attention - the box is crucially important. Foremost, it should have eye-popping box art that depicts the gameplay joys that will be provided by the toy or game. But also important is a recognized brand that assures quality and provides reason for the customer-to-be to believe that this promise, made by the image on the front, will be delivered. In order for a brand to be recognized, a signature box design helps a lot; a standardized format by which the toymaker can be identified in an instant, by a mere glance at the box. Nintendo introduced such a signature design around 1966. The design's main feature was a grey band on the left side of the box. This grey band includes a 'Nintendo Game' logo on the top, and a 'Nintendo Company Japan' mark on the bottom. Nintendo borrowed this box design of Milton Bradley (MB), the American game company (founded in 1860!) from which they licensed some games for release in Japan, including Twister and Skill-it. It is likely that the first Nintendo games with the grey band where the rebranded licensed MB games. 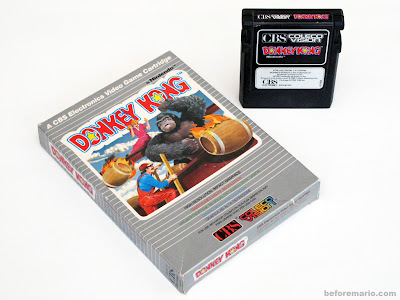 However, Nintendo expanded the use of this design to all their games in this period, including many original Nintendo games, as well as for licenses from other companies. Below an overview is presented of (almost all of) the games that Nintendo released with the 'grey band'.